Please read all the following instructions carefully before starting the registration process. 3. Level-2: FE Exam (Morning/Afternoon) Tk. 255/- Applicable for half passers only. 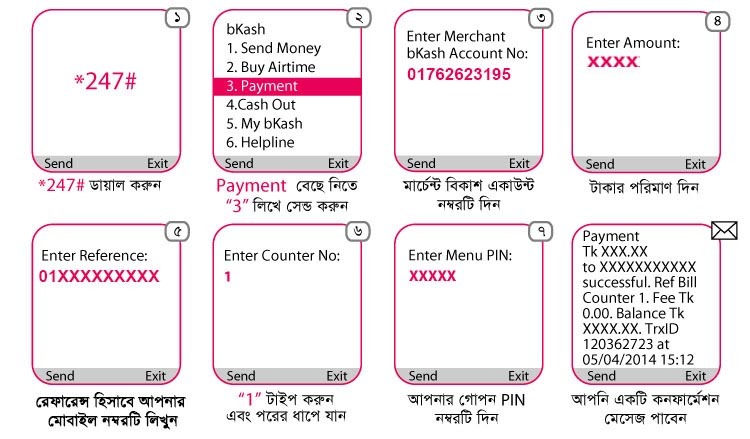 You can make payment using your bKash wallet to our Merchant Account ( 01762623195 ) as below. You will receive a confirmation message from bKash with a TrxID.